It's Show and Tell Friday again! As I was driving home from work tonight (Thurs) I was thinking about what I would share with you this week. Once I got home and saw a package waiting for me I knew right away what it would be! I won this old Haviland & Company Limoges cup and saucer on Ebay earlier this week and it arrived today! It was only $4.99 but then the shipping was $7.94. Still a good deal though! I think I see a new collection beginning! It is so delicate and so translucent! I took it over by my back door so I could take a picture in what little light was still left at 6:00 pm! I was looking for something to add to make the photos look a little nicer then I noticed a bouquet of roses that I had cut last weekend sitting right next to the teacup. They were faded and limp but a few of them looked so beautiful and I thought they would be perfect addition for my quick photo shoot! There's something so beautiful about roses as they start to fade....sort of like older women...don't you think? Not quite at their prime but still so much to offer! If you are joining in on Show and Tell Friday, please remember that your Show and Tell needs to be something from your home or garden. Please read the Show and Tell Guidelines for step-by-step instructions on how to participate.If you would like to join in, please enter your name and leave your exact Show and Tell blog post link. If your link has been removed from MckLinky, please re-read over the guidelines before re-posting, or e-mail me with any questions. Thank you! I look forward to seeing everyone's posts...it may take me awhile to get around to visit everyone since I work full time but I'll do my best to get to your blog as soon as I can! Absolutely beautiful! And, you're so right, roses, like people, get better with age. Again, I'm in love with your post. I love how truly romantic you make things look. 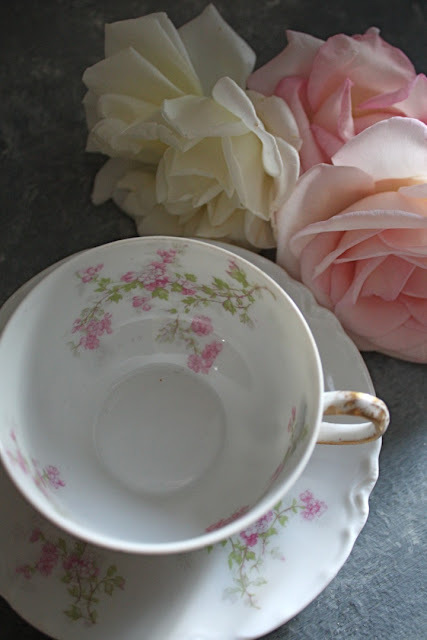 The roses are soo soft and sweet and the cup and saucer are beautiful So shabby chic. I came to post for tomorrow but it says Mr. Linky is closed,please advise. So pretty. I love china with roses on it. Yours is beautiful. Beautiful pictures too. Can not link - says Mr. Linky is closed? Nothing quite like a pretty tea cup and some beautiful roses. They just seem so at home together. I love your observation about the similarity between fading roses and maturing women. Another post filled with beauty and inspiration! Cindy!!!! I LOVE this post, love the tea cup, love the roses, love you for making such a beautiful arrangement that inspires me so, so much. Lovely C&S and I too love this time of year for roses, not quite as sturdy as mid-summer, but those soft delicate colors are wonderful! Lovely! The roses were the perfect touch. Such a lovely combination with the teacup and the faded roses.....beautiful. Love the teacup and roses. Beautiful I think roses get better with age as we do! Oh that is really neato Cindy! I came to your blog to tell you to come check out what I found yesterday for almost nothing! I thought about you when I saw them because you love linens so much! I LOVVVVVE your tea cup! Ohhh yes...your new Limoge teacup and saucer are just gorgeous...and I think you got a great deal!!! You're absolutely right about the teacup and roses...sooo beautiful together! Your photos are divine! Hehe...I was thinking about what you said...it's definitely true that those pretty petals get softer and more flexible too! They also get fuller with time...okay, enough said! Hehe! Thank you for hosting Show & Tell Friday for us...I'm joining in today and will include my link here. I also emailed you! So sorry that you're having problems with McLinky! The teacup is beautiful, of course, you are talking to a devoted collector of beauiful teacups! I just love them. It's true the roses still look so beautiful and soft, just like velvet. It's a shame that mailing is so expensive ! I got a parcel from a blogfriend and he had to pay 15 $ ! that's a shame. It is Europe OK, but still. I love old teacups. Just knowing that they have a "story" makes them precious. What a delicate design, I like it so very much, elegant and classy. And I like roses too, better if white. awwwhhh Cindy.. love the cup & saucer.. andddd the roses!!! so beautiful..
Gorgeous tea set. And the rosaes too. Roses are my favorite!!! And yes, I know just what you implied with the 'shipping' cost these days. Not just from e-bay either...the cost is outrageous. But with this winning bid you can't go wrong!!! It's gorgeous. My Show n Tell is a slide show this week. Happy weekend, happy Halloween if you observe it...no matter, just BE SAFE! Oh, I love that pattern on your tea cup. Your roses are so beautiful. Thanks for hosting another Show and Tell Friday. Thanks for helping with Mt. Linky That is a beautiful cup and saucer and it really looks great photographed with the roses. They may be faded, but they are still are pretty. That is suppose to be MckLinky - I should not type before my coffee kicks in. :-) Have a great day. Your tea cup is gorgeous! And your photos are even more so! I so envy your ability to really capture the beauty in your subjects...whether they be slightly wited roses or a delicate tea cup. Thansk for hosting again today Cindy...hope you have a fantastic Halloween! Thank you Cindy for hosting and have a good weekend. You found a treasure in the cup. The fun part of having seen so much of your home is that I can picture that among your other treasures. The roses are so pretty and soft and the way you related them to women is so sweet. You will love collecting tea cups! I have a rather large collection and just adore each and everyone. I think I enjoy collecting tea cups so much, because of all the beautiful china patterns. I have been meaning to tell you, your new picture is really pretty, you look so lovely. Beautiful! Your photography is the best. The cup and saucer are beautiful, and the roses the perfect complement to them. Lovely! Thanks for sharing.. and hosting. I love your cup and saucer! That would be a lovely addition to your collection! The pink and white are so subtle and delicate. Can't wait to see more. Your analogy of roses and old women is sooo sweet. Have a wonderful weekend! I love your Show and Tell on Fridays. It's so much fun to 'visit' with everyone. Thanks for doing this! Lovely post- and I do love roses!!! Your photographs are beautiful. Lovin' the new delicate cup and saucer. That is the china that belonged to my grandmother and then to my mother and now to my niece. I wish I had it! what a loely teacup you've got. 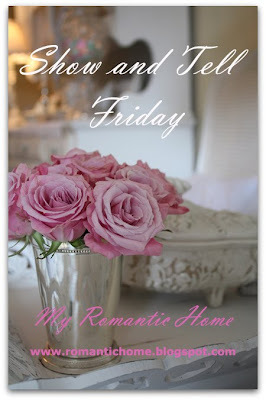 I'm so much in love with roses as well as with teasets that this post of yours is simply perfect. YOu have the ability to turn everything into true beauty. What a talent! Strange coincidence I was at my fave thrift store and bought myself 4 china teacups with floral decor for 8 euros. Not as beautiful as yours bust still I look at them in admiration enjoy having made them mine. Gorgeous china, and with the roses it makes for beautiful photographs. I'm adding myself as a "Follower" and have also joined in today's party. Thank you so much and I hope you have a wonderful weekend! I have a set of similar pattern, just with scalloped edges. I love the pretty and simple flowers. Their so delicate. I haven't used them yet though afraid they be broken I guess. Beautiful post, I love the cup and saucer. The roses look perfect with it. The faded roses are perfect with the aging grace of the Haviland cup. I love the Haviland the best of the Limoges. Just beautiful. Hi Cindy, You have done a great job with Show and Tell Friday. I enjoy viising your blog and seeing all your beautiful pictures. Thanks for inspiring me to do a little more decorating in my house! Oh, I just love Haviland china. I got a few pieces here in Houston when my favorite dish place closed up business this summer. I love this post. Your cup and saucer are so pretty. The roses are still lovely too. Your home is so pretty. Whenever I see all the photos of your home in your sidebar I hope my house looks so pretty one day. I always love reading your blog. I am doing some catch up work tonight. I haven't read any blogs all week. Hi Cindy, That is certainly is a lovely tea cup & saucer, in fact I have quite a few serving pieces just like that. I believe I got most of my pieces on Ebay too so I don't think you will have a problem finding more if your going to collect this kind. I think that I have a Haviland platter in that pattern, but never knew what it was! You've displayed your set so nicely with the roses. my name is Mark Anthony Hall. This is the second time that I have come across you site and I love it! 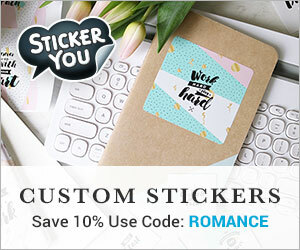 Your unique touch and style are breathtaking!